Emerisa has several different styles of Agra Tech structures, Cold Frames, Thermolators, and Insulators. They recently retrofitted some of their double poly Insulator houses with roll-A-roof to provide a total open-air environment for some crops. This also provides an excellent area for customers to browse either under cover or with the roofs open. 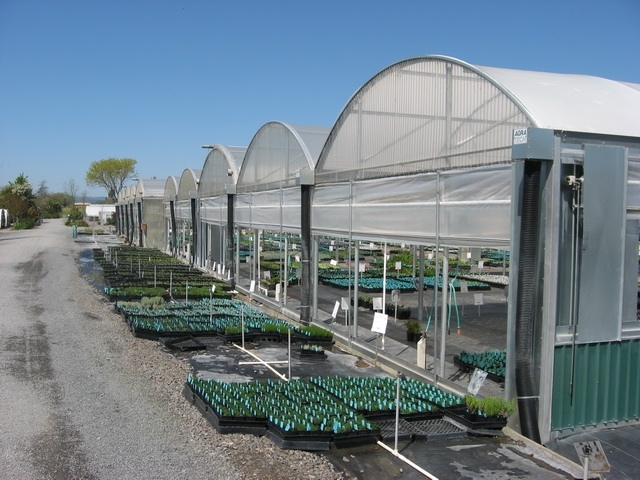 Crop: Emerisa is a family owned wholesale nursery business specializing in 4” pots, herbs, and ornamental grasses. Both the wholesale and retail operations are located at the Santa Rosa site. Most recently Emerisa Gardens installed state of the art roll-A-roofs on some of their houses. This allows them to grow in a controlled environment and to open the plants to adjust to the real world environment without moving the plants.